Big Bud has long been famous as the benchmark for high-performance indica and Big Bud Automatic is the latest update to this definitive heavy strain. These feminized cannabis seeds produce vigorous, easy-growing plants which flower automatically and quickly develop large, solid, highly potent buds. Big Bud Automatic is Sensi’s top-yielding autoflowering variety! The original Big Bud clone which travelled from the USA to Holland in the 1980s was a vigorous Afghan-Skunk hybrid which produced huge, heavy flower clusters. The project to turn that single female plant into a stable cannabis seed strain began by pollinating the Big Bud clone with cannabis varieties that were very similar to its parent plants. This produced two early hybrids, Big Bud x Skunk #1 and Big Bud x Northern Lights #1, which both proved very popular. Eventually, an example of the clone’s original Afghan parent - a bulky hash plant cultivar - was obtained, which made it possible to backcross and stabilise the variety. The result was a vigorous mostly-indica cannabis seed strain that could equal and even exceed the yields of the original clone, and significantly enhanced her potency and flavour. 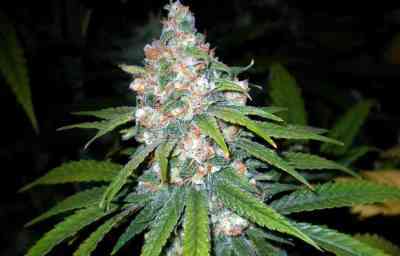 The Sensi Seeds’ Big Bud seed strain was released in the early Nineties, quickly picked up several awards, and has been one of Sensi’s most popular strains ever since. More recently, Sensi Seeds created a high-performance feminized version of this venerable strain, and the improvements and refinements continue with the latest release: Big Bud Automatic! This feminized, autoflowering cannabis seed strain retains the flavour, potency and density of Big Bud while having a more compact structure and a faster flowering time. Normally cultivated indoors under lights, Big Bud Automatic can also grow outdoors in sunny climates, and its autoflowering ability allows it to bloom successfully in unusual or irregular light cycles. Plants begin flowering around the time they produce their seventh to ninth pair of true leaves, which is usually about 6 to 8 weeks after germination. Because the onset of the blooming period is predictable, growers can time the germination of Big Bud Automatic seeds so that flowering coincides with the warmest, brightest months of their local growing season. Photosensitive cannabis strains can’t flower in the long, sunny days of June, but Big Bud Automatic can! 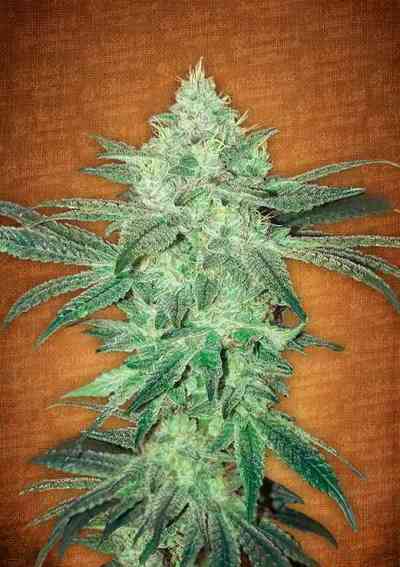 This heavy indica produces most of its yield on the main stem and upper branches. Big Bud Automatic should not be ‘topped’ to increase budding sites, as a plant’s vegetation period can’t be extended to allow the regeneration of pruned branches. Similarly, light cycle manipulation will not increase or decrease the final height of this strain, due to its autoflowering ability. Plants’ maximum height is largely predetermined, and the easiest way to minimise their final height is by pruning them late in the growing phase. After 7 to 9 weeks of flowering, plants typically range in height from 90 to 130cm and are weighed down with an outstanding harvest of mature, resinous indica buds. Like its predecessors, the branches of Big Bud Automatic may need to be supported during the later flowering phase in order to prevent them breaking under their own weight! Flower clusters and the extra solid main colas retain a great proportion of their size and weight after drying and curing. Resin coverage is thick across the surface area of the buds and is remarkably profuse even within their tightly-clustered structure. Individual calyxes can swell to remarkable size, though the vast majority of calyxes are packed together at the nodes, where they almost fight for space and give this strain’s buds their amazing density. When dried, Big Bud Automatic’s giant, sparkling flower clusters have a rich bouquet and flavour from their Afghan and Skunk ancestry; sweet, pungent, fruity and musky aromas give way to a strong undercurrent of crisp, resinous hashish. The sticky trichomes encrusting the buds impart a very powerful physical effect that is brightened and elevated by a cerebral high from Skunk #1’s sativa elements. Big Bud Automatic has a good balance of THC and CBD, making it suitable for a wide range of medicinal applications. Naturally, this strain’s long-lasting, sensual high also makes it a superb variety for recreational enjoyment. 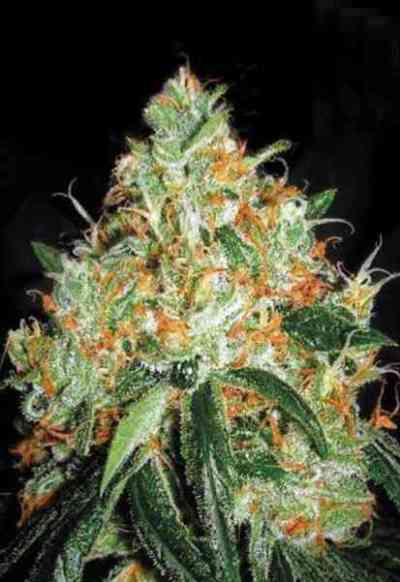 Sensi Seeds’ Big Bud seed strain has been refined and improved several times during its 25-year history. It’s been our ongoing mission to perfect our high-yielding indica powerhouse and make it simpler and more rewarding for growers of all experience levels to cultivate successfully. This latest update to the family is the heaviest producer in our selection of feminised autoflowering varieties. Big Bud Automatic is ideal for growers seeking an easy-growing, productive indica!